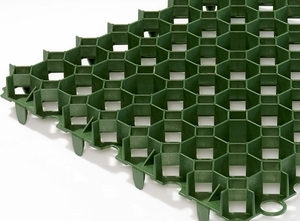 60sqm pallet pack of green TERRAM Bodpave 40 porous grass pavers. Each pallet pack will cover 60 square metres and includes 240 plastic grids each measuring 50cm wide x 50cm long x 40mm deep. 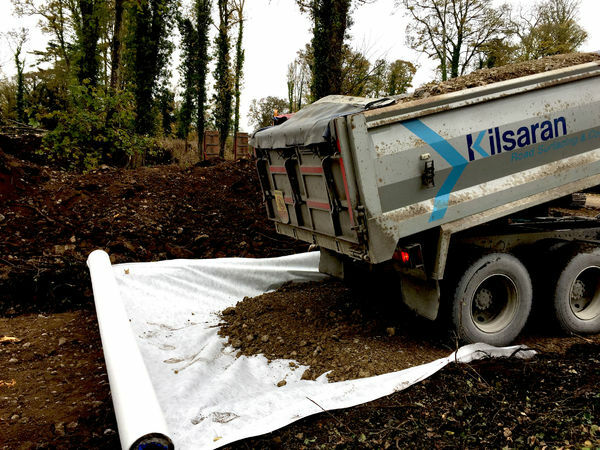 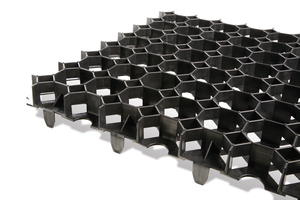 Each grid interlocks into the others, producing a solid surface to support cars, vans and buses onced filled with gravel or soil for a grass finish. 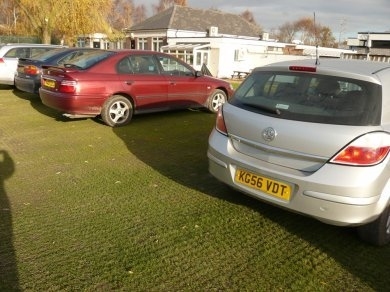 TERRAM BodPave 40 pavers are manufactured from 100% recycled plastic and are used to make permable car parks and trafficked surfaces - helping to reduce stormwater run-off and flooding. 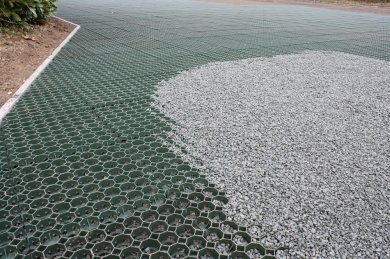 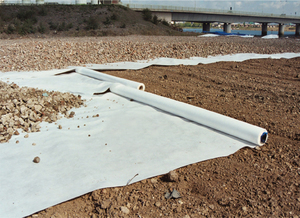 Filled with either permeable gravel or soil for a grass finish, the pavers allow a porous and stabilsied surface for cars and other vehciles, protecting grass from damage by cars wheels, are stopping gravel being displaced. 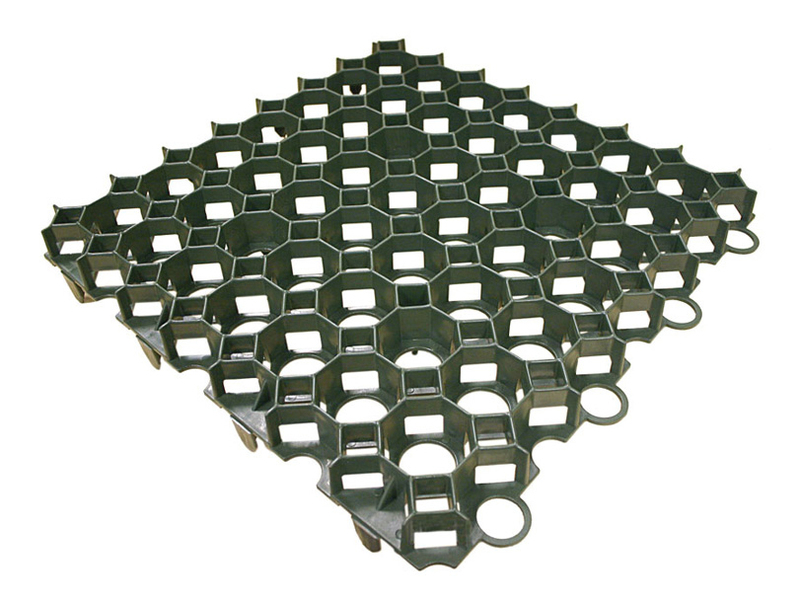 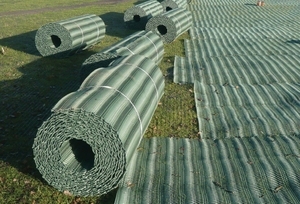 This listing has 240 grids per pallet of our Green BodPave PP40 grass pavers which when connected makes 60 square metres. 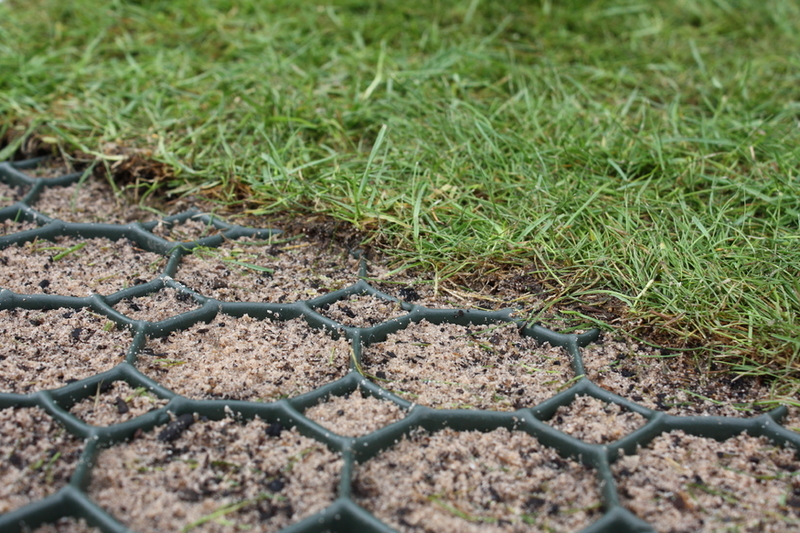 If you require a slightly different quanity, please contact us and we can quote you for what you need.